NEW YORK • Mr Jeff Bezos, founder of Amazon and owner of The Washington Post, announced he is donating US$33 million (S$44 million) to a scholarship fund for young "dreamers", immigrants brought to the United States illegally as children. The donation comes amid fresh pressure from business leaders as talks on Capitol Hill over how to resolve the legal status of dreamers are foundering. The White House and some Republican lawmakers rejected a tentative deal from a bipartisan Senate group last Thursday - the same day President Donald Trump made incendiary remarks about people from developing countries. 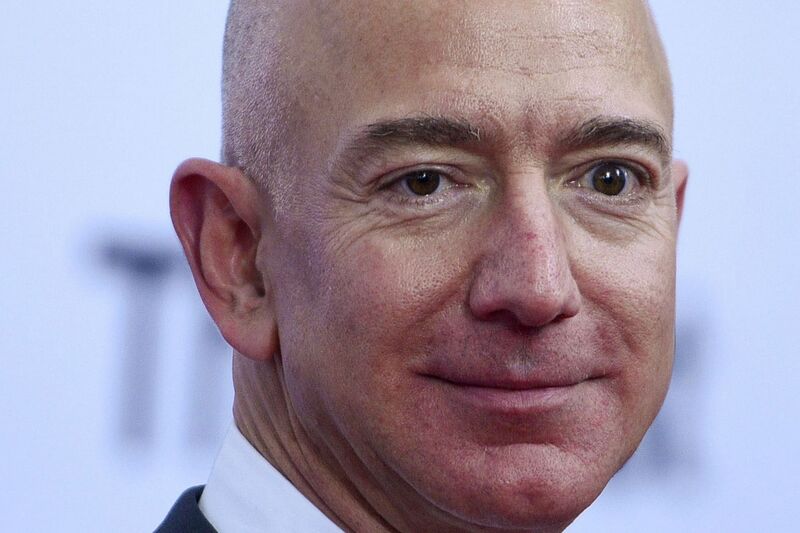 Mr Bezos, who is the wealthiest person in the world, and his wife, MacKenzie, will be donating the sum to TheDream.US, a scholarship programme that has awarded more than 1,700 immigrants more than US$19 million in financial assistance since it launched in 2014. The money will help fund 1,000 college scholarships and is the largest donation yet to a fund established by Mr Donald Graham, the former publisher of The Post who sold the company to Mr Bezos in 2013. Mr Graham launched TheDream.US with Mr Henry Munoz III, the finance chairman for the Democratic National Committee, and Mr Carlos Gutierrez, who served as commerce secretary under President George W. Bush. He landed in this country alone and unable to speak English. With a lot of grit and determination - and the help of some remarkable organisations in Delaware - my dad became an outstanding citizen, and he continues to give back to the country that he feels blessed him in so many ways. MR JEFF BEZOS, founder of Amazon, citing the story of his adopted father, who left Cuba as part of Operation Pedro Pan, in a statement announcing his donation. In a statement announcing the donation, Mr Bezos cited the story of his adopted father, who left Cuba as part of Operation Pedro Pan. "He landed in this country alone and unable to speak English," Mr Bezos said in the statement. "With a lot of grit and determination - and the help of some remarkable organisations in Delaware - my dad became an outstanding citizen, and he continues to give back to the country that he feels blessed him in so many ways." Mr Trump plans to phase out the Deferred Action for Childhood Arrivals (Daca) programme in March unless Congress replaces it. The Obama-era programme provides temporary legal protections to roughly 700,000 dreamers.